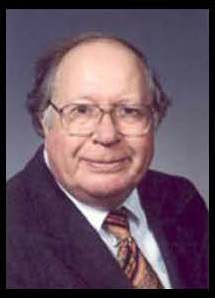 It is with great sadness that we announce the death of Dr. Thomas B. Clarkson. Dr. Clarkson had been an Active Member of NAMS since 1993, and his contributions to the Society were numerous. These included serving as a member of the Editorial Board for Menopause, as a speaker at numerous Society Annual Meetings, and as a member of many NAMS committees. He was the recipient of the NAMS Soy Research Award in 2001 and the Cardiovascular Research Award in 2003. He also presented the first NAMS/Wulf H. Utian Endowed Lecture, Estrogen Effects on Arteries Vary With Stage of Reproductive Life, in 2006. Dr. Clarkson was elected by the membership to serve two terms on the Board of Trustees (2007-2009 and 2010-2012). He was instrumental in organizing the first NAMS/Utian Translational Science Symposium on Soy and Soy Isoflavones in 2010. He was the driving force in securing funding from the National Institute on Aging, the Office of Research on Women’s Health, and the National Institutes of Health to support the Pre-Meeting Symposium, Depressive Symptoms and Cognitive Complaints in the Menopausal Transition: Science and Clinical Transition, in 2009. In April 2015, on the occasion of his retirement from Wake Forest University, NAMS recognized Dr. Clarkson for his exceptional contributions to the field of menopause and to the Society by bestowing him with a lifetime Honorary Membership in the Society. He was also recognized by NAMS in 2010 when the Society established the NAMS/Thomas B. Clarkson Outstanding Clinical and Basic Science Research Award fund. Dr. Clarkson was Professor Emeritus of Comparative Medicine (Pathology) and was internationally recognized for his groundbreaking research in the areas of atherosclerosis and women’s health. He had been a member of the Wake Forest School of Medicine faculty since 1957 and helped to develop one of the nation’s leading biomedical research programs. He was instrumental to Wake Forest’s rise to prominence in Comparative Medicine through studies of animal models to understand human diseases. Beginning in 1964, he developed what became the 200-acre Clarkson Campus as home for the Center for Comparative Medicine Research. It is recognized today as one of the world’s top facilities for animal research. Dr. Clarkson is survived by his wife, JoAnn Harrison Clarkson, whom he loved and cherished for more than 65 years; his three children, Thomas B. Clarkson III, Stan Clarkson, and Becky Clarkson Barger; and his grandchildren and great-grandchildren. Memorials may be made to the Star of Bethlehem Lutheran Church; 1355 Jonestown Road; Winston-Salem, North Carolina, 27103. Donations may also be made to NAMS in support of the NAMS/Thomas B. Clarkson Outstanding Clinical and Basic Science Research Award, which is designed to recognize a NAMS outstanding menopause-related clinical or basic science researcher by providing registration to attend the Annual Meeting. Support is also encouraged to expand this award in the future. Additional funding could allow NAMS to support presentations by young clinical, basic science, or translational researchers at the Annual Meeting through a Thomas B. Clarkson Young Investigator Research Award.